Why work out with TrainAway? Another city. Unfamilliar teritory. Motivated for a great workout. What do you do? TrainAway was created to remove barriers to fitness and to solve the inconvenience of working out in a gym while traveling. Forget the hotel gyms, the home workouts and the time consuming research to find a gym you can actually access. TrainAway gets you in to gyms in more than 35 countries and 250 cities worldwide. No subcription needed, you simply buy a day pass when you need it, show it in the reception of the gym and your ready for what really matters - a great workout! Athens is the capital of Greece, and the center of ancient history in the old country. Benieth the history is a hectic city with a lot of pulse, where nothing is ever standing still. Athens is the home of many tourist attractions, the most famous of them all being Acropolis, a tempel site left from ancient Greece, situated on the top of a mountain side, giving tourist not only the temple to admire, but also a view of the entire city of Athens. The fitness industry is beginning to rise in Greece, and Athens is of course the center of all this. The two major fitness operators in Athens is Yava Fitness and Holmes Place. Both of these are excellent choices of fitness clubs, with all the amenities you would expect from a quality gym. Holmes place is the luxurious choice of the two, with also spa and pool attached as facilities. Hopefully soon TrainAway will be able to present both as partners on the platform, but for now we have other, idepentdent partner gyms you can choose from and buy direct access to in Athens. I came to Athens with the hope of keeping up my active routine. TrainAway made it a whole lot easier to find great gyms, and I also found one I could be access to directly on the app - super smart. How often have a walked down to a gym without knowing if I could get access or not? In my recent business trip to Athens, TrainAway let my buy a pass directly on the app, a great upgrade in convenience. My friend told me to check out TrainAway if a needed a place to stay active during my time in Athens. It helped me a lot - I found a gym and got access directly on the app. 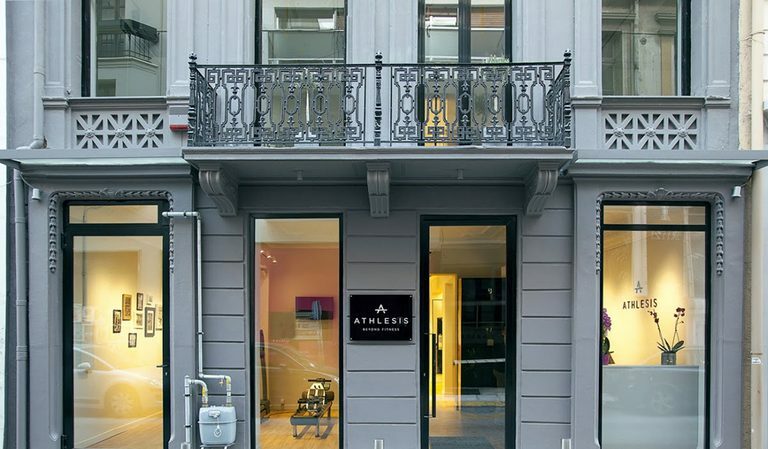 Own a gym in Athens? From the hottest workout destinations in the world to training tips from experts, the TrainAway blog has you covered. Here you’ll find a more informal look at everything TrainAway has to offer. You’ll hear from our users on the best way to buy a gym day pass when traveling, and from members of our team on how we’re making it easier for you to find a fitness club on the road. The blog is also where you’ll hear the latest announcements as we go live in new destinations around the world. You’ll find expert insights into the best places to work out in everywhere from New York to Las Vegas to Rome - all with no contract or subscription. And on top of that, we have advice from people who know how to work out when traveling. Before your next trip, lose yourself in the wealth of great material we have on making sure you get the most out of your travel workouts.